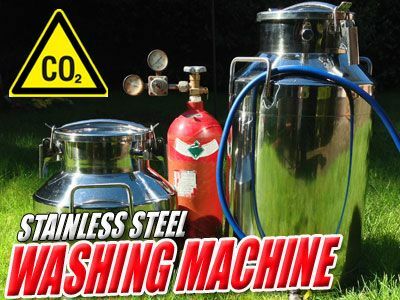 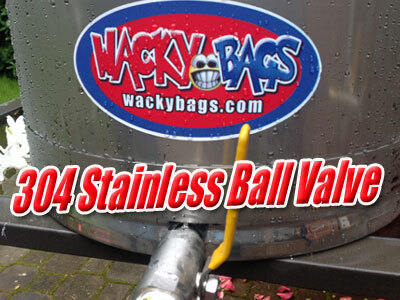 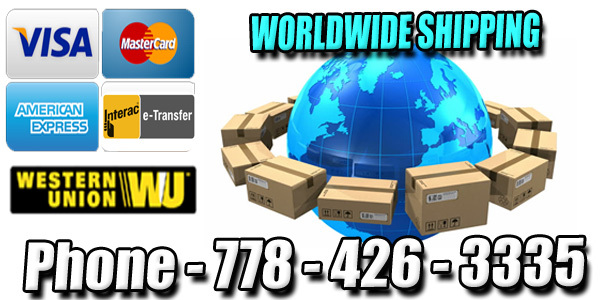 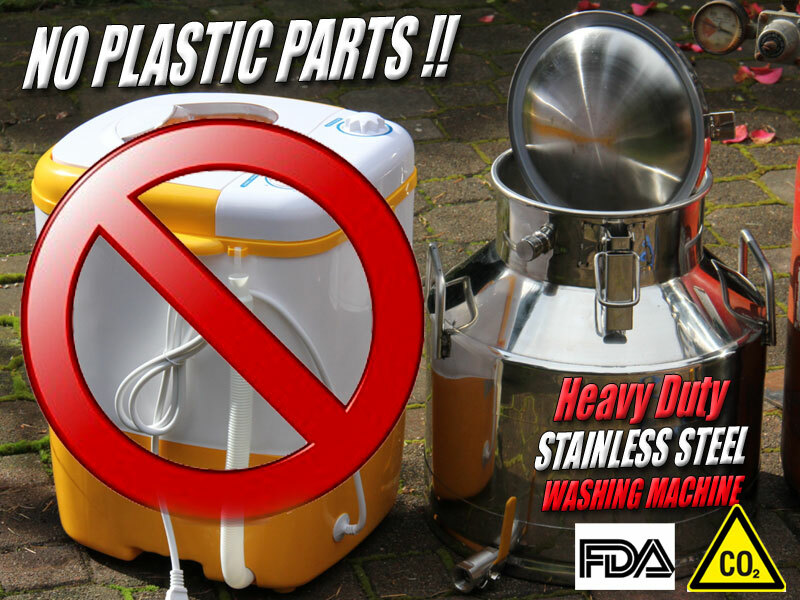 Stainless Steel Bubble Machine Discounts Apply ! 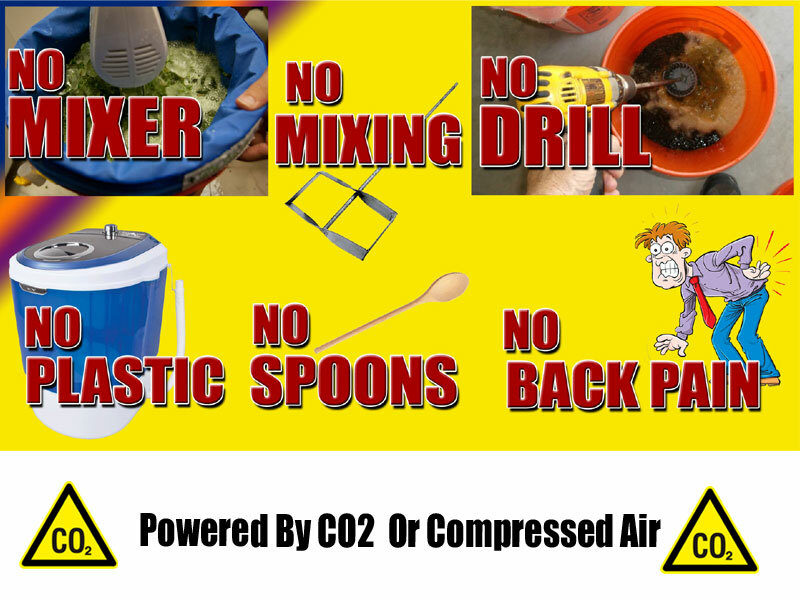 NO plastic parts, NO moving parts, No Electricity required. 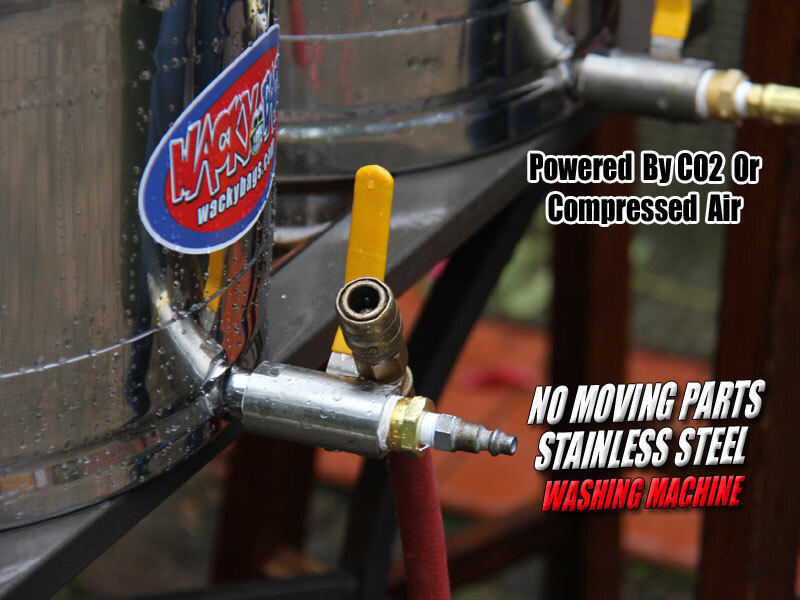 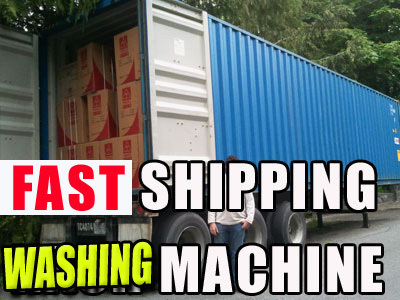 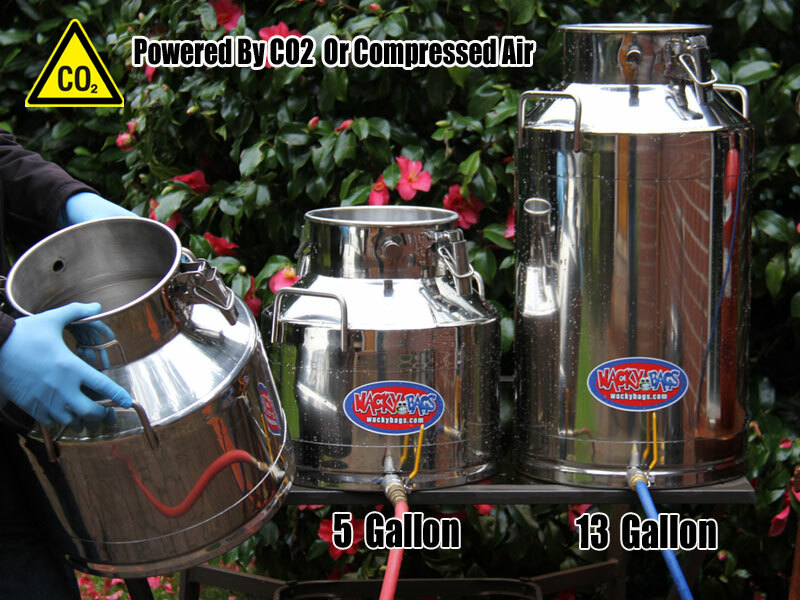 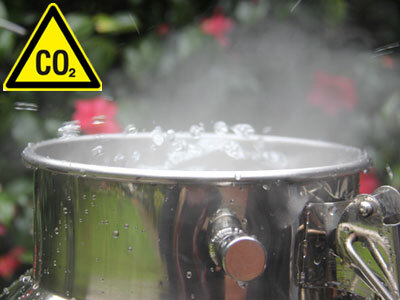 This new washing machine runs on compressed air or CO2 !! 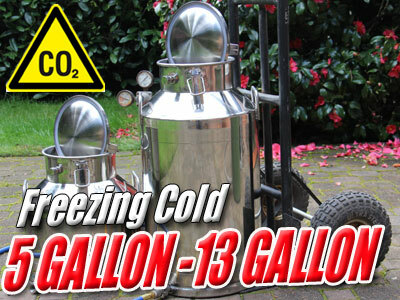 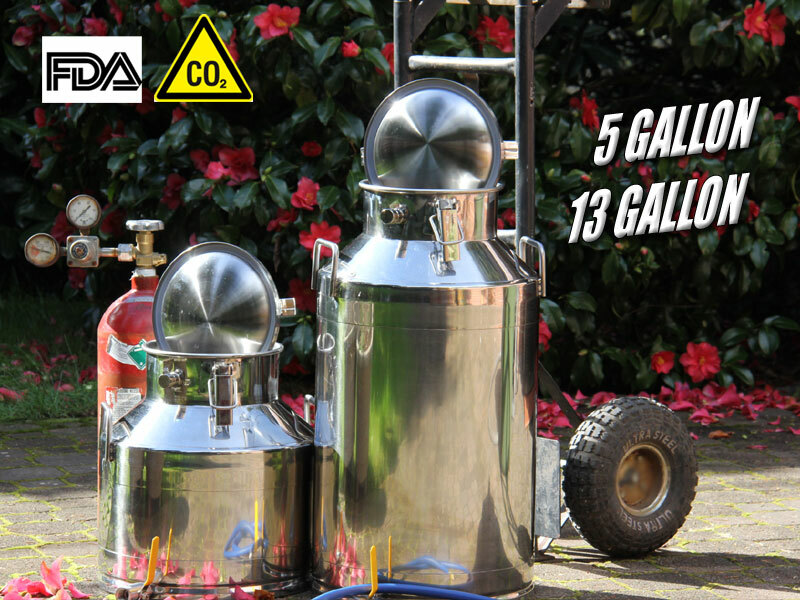 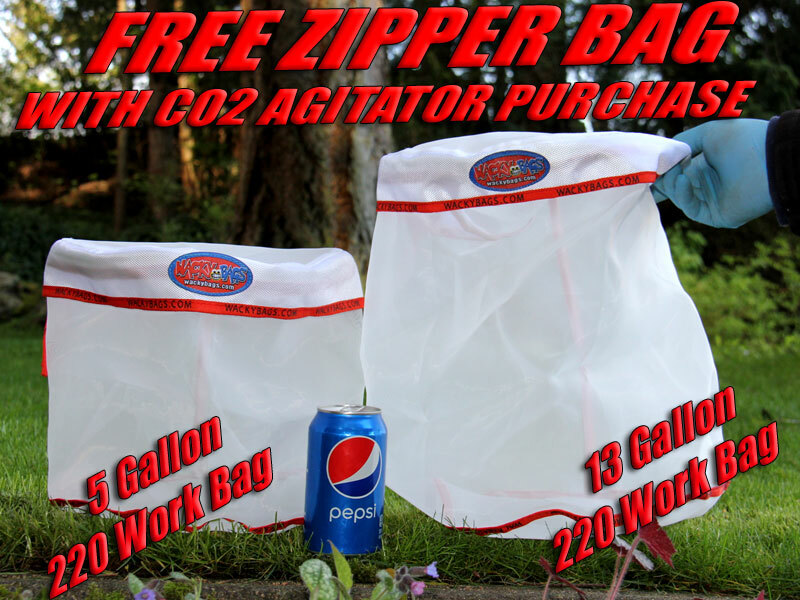 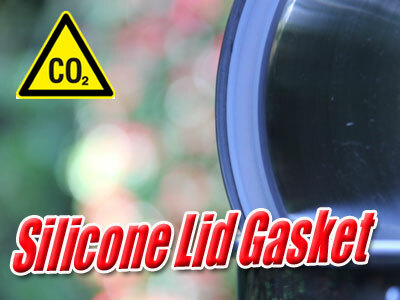 Available in 13 Gallon Size. 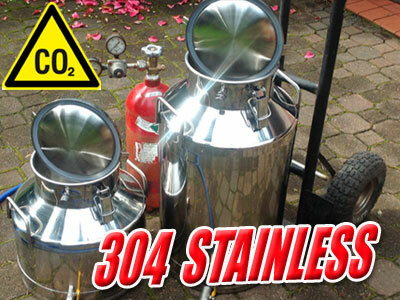 top to bottom 304 Stainless steel construction. 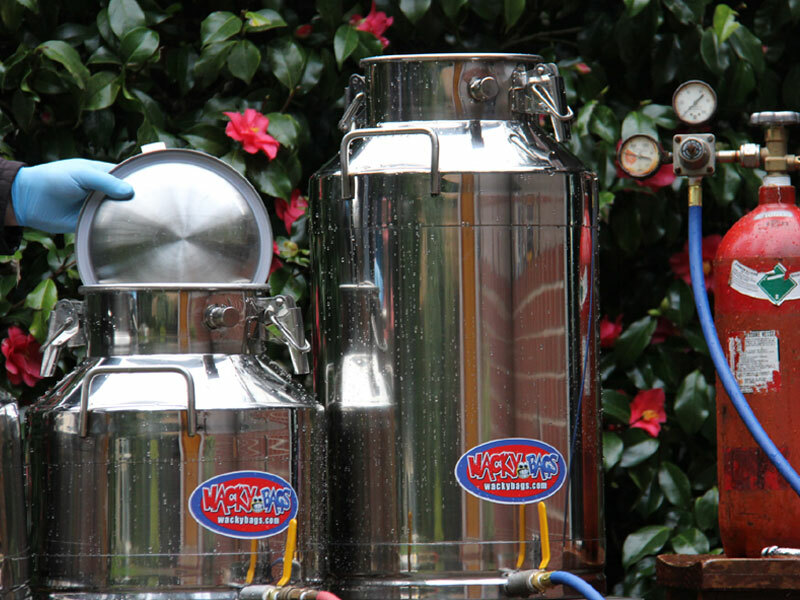 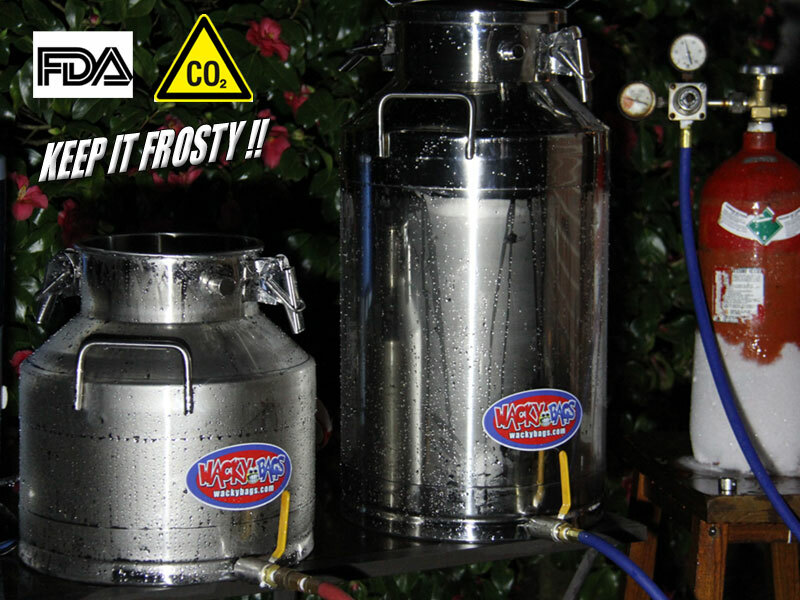 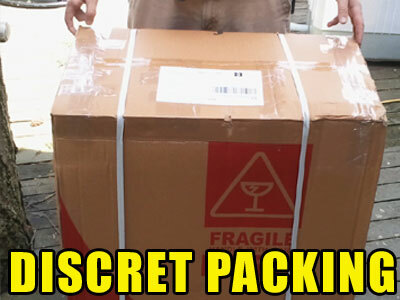 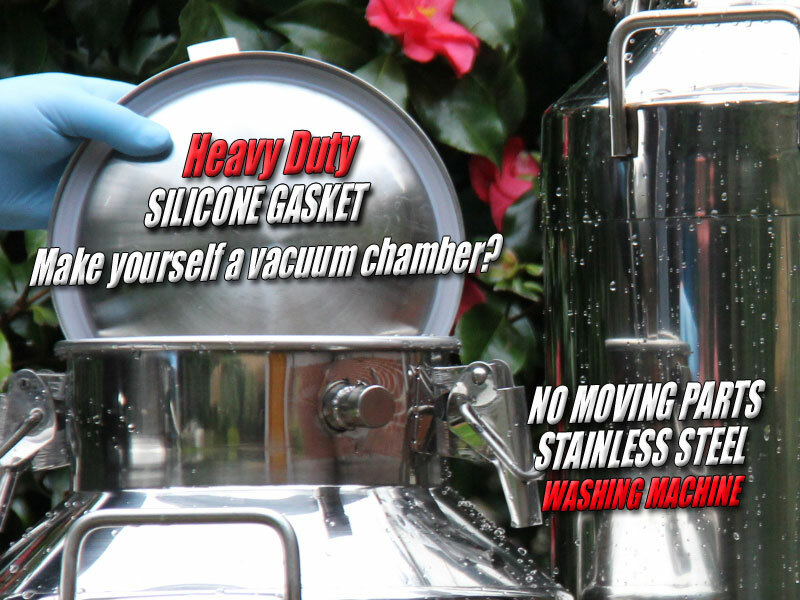 Easily open the lid by removing the top two securing latches to access the large opening to fill or clean the agitator. 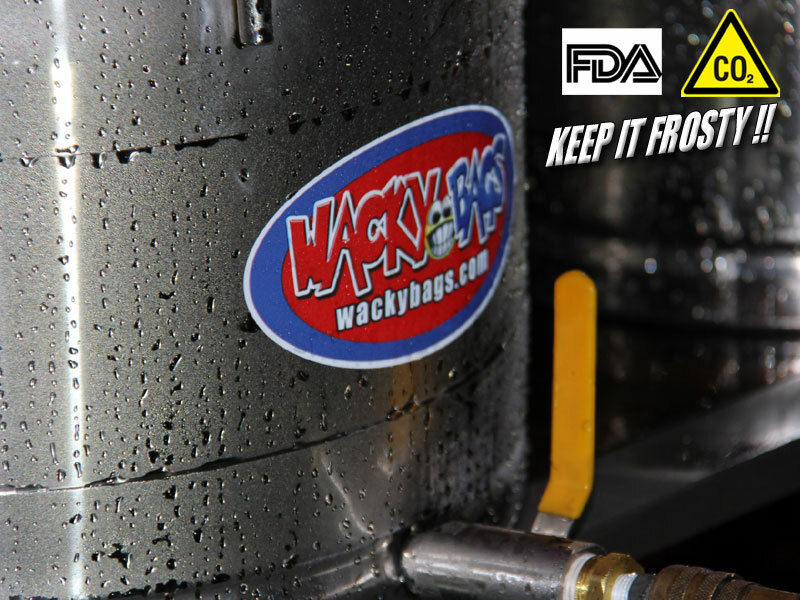 The bottom drain allows all of the Liquid to easily be removed from the agitator and transferred to a set of Wacky Bags . 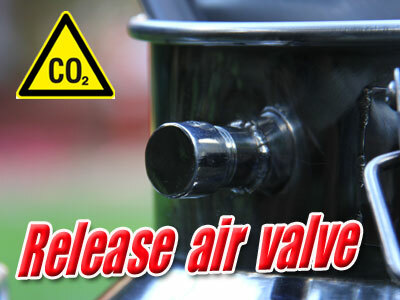 The Valve allows you to control the flow of air into the agitator that creates huge bubbles . 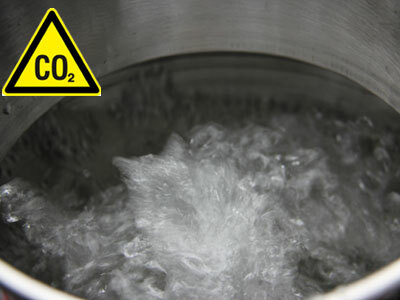 Clean with cold water - with a dime size of soap. 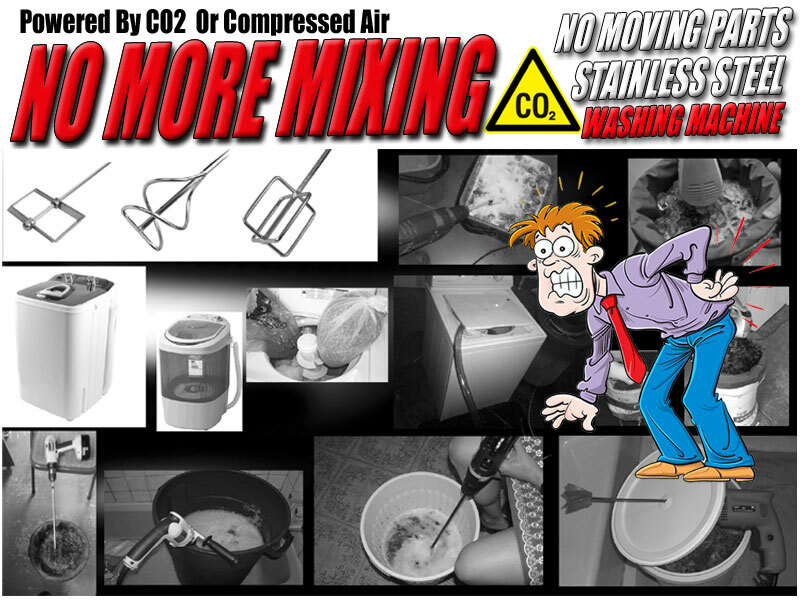 Sanitize or clean build up with Alcohol. 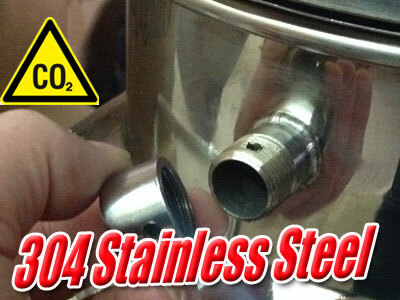 304 Stainless Steel is Temperature, Solvent and Corrosion resistant it is also Food Grade.